Ottobock Healthcare is a global market leader in prostheses and orthotics. For the US market we developed the “Great Partnerships. Great Stories.” campaign. Focusing on the relationship between an amputee and their technician as they fine-tune the fit of a C-Leg® micro-processor knee, it showcases the features and possibilities of the hi-tech prosthesis. At the campaign’s core is the journey to a life of freedom of movement—the recovery process and the close relationship between patients and their orthopaedic technicians. Family and friends share in the healing, courage and learning required throughout the transition, and a series of movies give an authentic voice to those in the recovery process, providing proof a full and mobile life. The campaign covers advertisements, billboards, print material for trade fairs, and a microsite with user testimonials, product information, links, and recommendations for technicians and existing or potential C-Leg® patients. The conceptual starting point was easy; realizing it was intense and emotional. We worked together with Ottobock, traveling to three American cities to meet protagonists who could share their stories. We directed photography and film interviews in Minneapolis, Minnesota; San Francisco, California; and Oak Park, outside of Chicago, Illinois. Each city provided a unique backdrop to the stories told. 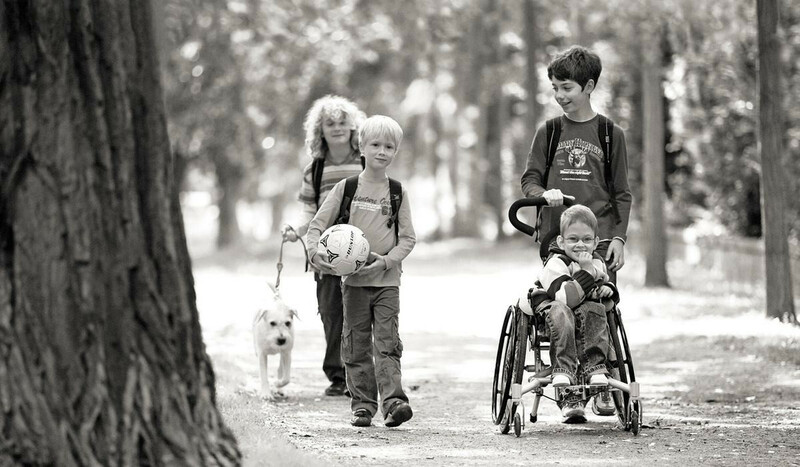 Real Ottobock users telling their own stories—believable, emotional, authentic.